$925. A challenging rockwall that is 24' tall with 3 levels of difficulty for all ages. 30lbs. minimum - 220lbs. maximum. Includes 4 hours with operator(s). Rockwalls are fun for college and church events as well as graduation parties. 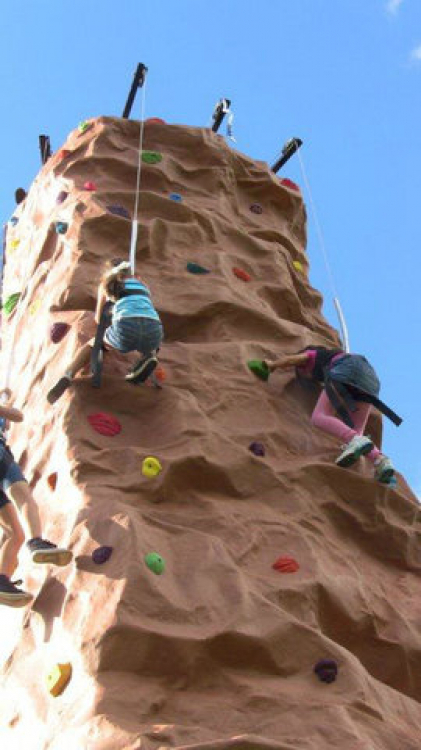 Test your rock climbing ability by racing to the top of our 24' high rockwall.